When you’re preparing to teach abroad, the visa process can seem overwhelming. But don’t worry—getting a visa to teach in Taiwan doesn’t have to be stressful. This is the Taiwan visa information that you need to know for teaching in Taiwan. Taiwan has reciprocal visa agreements with a number of countries, which allows citizens of those countries to come to Taiwan with no paperwork other than a valid passport. Citizens of the US, Canada, UK, European Union, and New Zealand (see full list here) can stay for up to 90 days, and Australian citizens can stay for up to 30 days on a visa-exempt entry. With a Visa Exempt Entry, your passport must not expire before your stay is up, and you must have a confirmed onward itinerary—this means that when you enter the country, you may be asked to show proof that you are departing before your 90 days is up. Most teachers enter Taiwan on a 90-day landing visa. Your school will then have to arrange for your visitor visa while they are filing for your work permit with the CLA (Council of Labor Affairs). Visitor Visas are granted for 60 or 90 days, for the purpose of tourism, visiting relatives, or studying. You can extend them for up to 180 days without leaving the country. You can apply for a Visitor visa at any overseas Taipei Representative Office. When you submit your application, you’ll need to show supporting documents, including a bank statement proving you have sufficient funds, and an onward travel ticket or travel itinerary. You may be asked to show other supporting documents specific to the reason you are traveling to Taiwan. For example, students coming to study Chinese will need a letter of enrollment from your school. Since most visitors from the above mentioned countries are now granted a landing visa upon arrival, there is no reason for you to arrange for a Visitor Visa in advance. You do not need to leave Taiwan to apply for a Visitor Visa at a consulate abroad, as your employer will be able to arrange for this while they are applying for your work permit. Once you have your Visitor Visa, you can change to a Resident Visa, also known as an ARC. While some teachers find and start work in Taiwan with only a Visitor Visa or a Visa-Exempt Entry, it is illegal and you do so at your own risk. Most ESL teachers in Taiwan obtain a resident visa sponsored by their school. This can only happen once your school has applied for and secured a work permit for you. 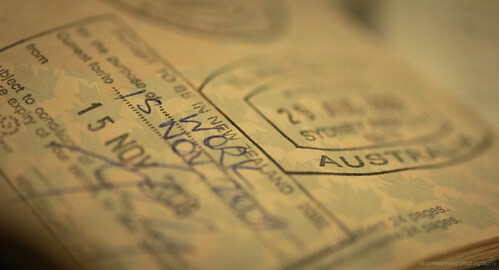 You receive your resident visa (ARC) after your school has secured your work permit. Typically, this type of visa is tied to the school that applied for your work permit, and it is valid for the duration of your employment. Once you are granted a resident visa, you have 15 days to apply for your Alien Resident Card (ARC). An ARC is an identification card that gives you access to Taiwan’s National Healthcare System, unlimited re-entry privileges, and a number of other rights granted to residents. There are a few other types of visas that you may come across: An Alien Permanent Resident Card (APRC) gives the holder permanent resident status, and open work rights. Expats who have worked in Taiwan for five years—and meet a number of specific conditions—can apply for an APRC. A foreign passport holder who marries a Taiwanese citizen can apply for a marriage visa, or JFRV. This type of visa also grants open work rights.